What kid doesn’t think robots are cool? 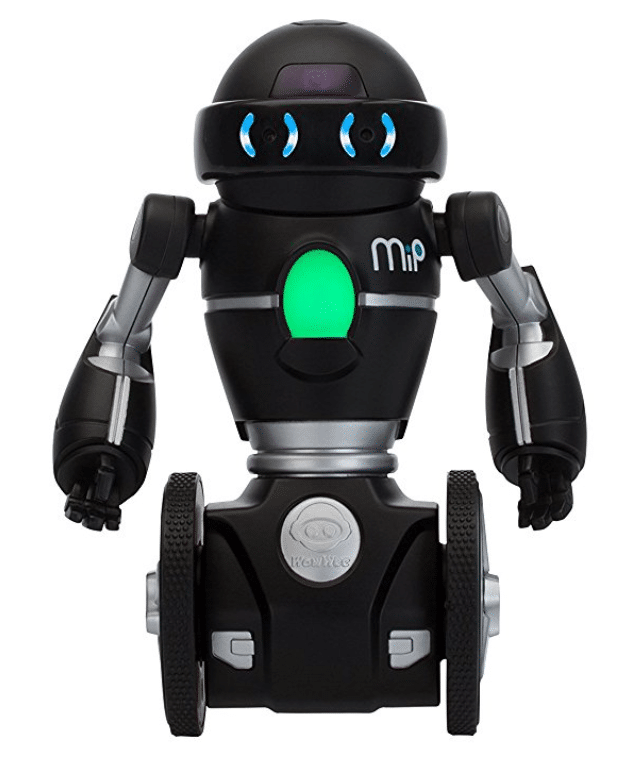 The MiP robot’s GestureSense allows it to respond to gesture-based interactions like swipes, claps, touch and more. It can seamlessly connect to and interact with smart devices, and its sound detection system allows it to react to noises in its environment The free app provides control and/or enhanced gameplay on your smart device. Anki cars are placed onto a track, then connected to an iOS and Android Phone through an app. These aren’t just cars; they’re robots programmed for battle and controlled with your mobile device. Each Supercar is loaded with cutting-edge features, including an optical sensor, dedicated 50MHz CPU, and two high performance motors for precision maneuvering with one-millimeter accuracy. The kit is super easy to set up and with continuous software updates and accessory add-ons, the gameplay always stays fresh. You can customize weapons, add expansion cars, and build jumps and curves into your track! 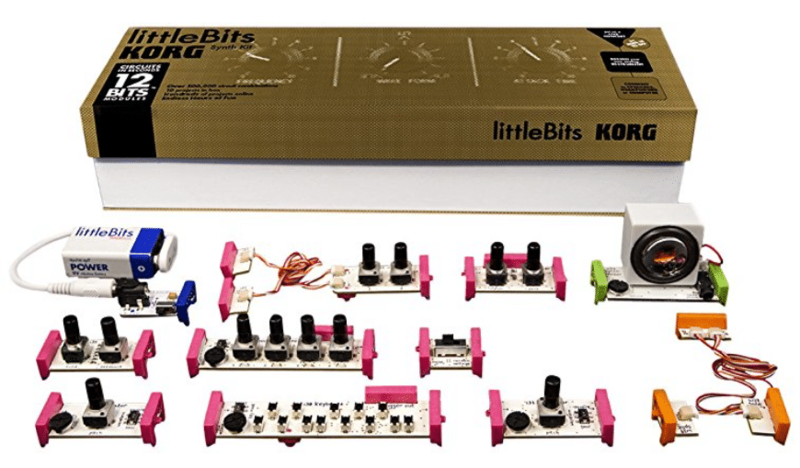 The littleBits synth kit is an incredibly powerful, easy to use modular synthesizer that helps you unleash your inner rockstar. The Synth Kit enables amateur and professional musicians to easily explore the iconic synthesizer instrument. This allows you to make exciting new sounds and build your own infinitely customizable and expandable analog modular instrument – all with little to no engineering or musical knowledge. The Synth Kit includes an assortment of 12 electronic Bits that instantly snap together with magnets to create circuits.